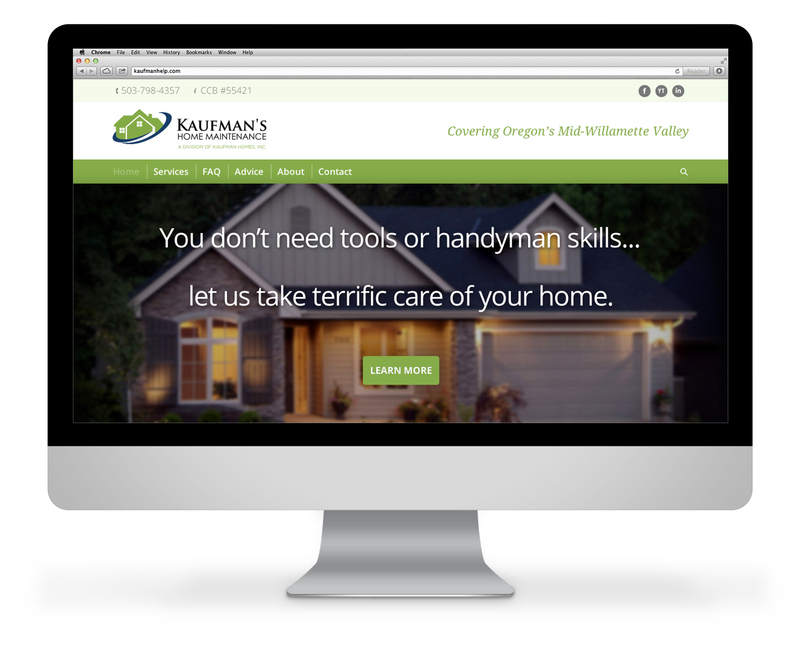 Salem, Oregon-based Kaufman’s Home Maintenance offers a service people don’t use or understand. The company had the dual challenge of showing homeowners the value of scheduled home maintenance and signing up new customers. To reach their audiences, Kaufman’s had to re-boot their marketing strategy and add new website ideas. Kaufman Homes Inc., founded by the Kaufman brothers 40 years ago, built a reputation for top-quality custom homes. Over the years, brothers Dean and Duane Kaufman discovered a common issue. Many homeowners didn’t know who to call when things went wrong. But Kaufman’s weren’t seeing results from their initial marketing push. After attending a seminar presented by Creative Company’s president, Jennifer Larsen Morrow, they called. Creative Company began by identifying the target audiences—homeowners without the time, tools or skills to handle repairs. Scheduled home maintenance means no more tinkering around the house and no more weekends spent on a never-ending ‘honey-do’ list. Elderly homeowners and working professionals are the main target. 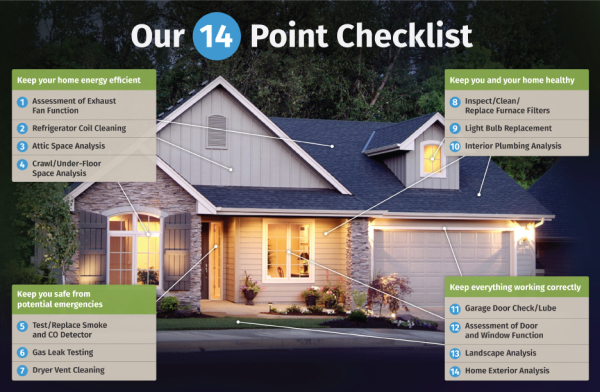 To reach these audiences, the firm redesigned print ads and digital billboards to focus on familiar problems—from the “honey do” list to minor home repairs. Every billboard includes a link to an updated, more descriptive website, KaufmansCanHelp.com. Previously, the website ideas didn’t give complete information. Interested homeowners want to know the area of service, what’s offered and the cost. What else can you take care of? How much does the maintenance service cost? People today do their own research online to learn more about a service or product before they make contact with a company. The website ideas for Kaufman’s were to keep information simple and direct, with a layout designed for easy scanning. Photos, testimonials and a new, detailed 14-point checklist were highlighted to emphasize at-a- glance the value of the service offered. Infographic outlining scope of services provided with contract. Simplified pricing made it easier for people to choose their schedule. They could sign up for a quarterly, twice-yearly or yearly visit by a professional handyman. An introductory offer for a free CO detector gives people a reason to book a visit by one of the Kaufman brothers to introduce and discuss the regular home mainteance service. All of these key decision factors were integrated into the website ideas. Additional marketing developed by Creative Company include updated vehicle graphics, social media training and printed sales materials. Visit the Kaufman’s Home Maintenance website. Are you ready to re-boot your marketing? Start with your website. Today’s website is at the heart of your marketing. Download our guidelines for 6 essential elements you need for an effective website. Then, give us a call to talk about your website ideas.